Resveratrol is a natural compound that is poly - phenolic in nature & is found in foods such as peanuts, berries, purple grape juice, & also red wine. Scientists & the medical community alike initially become interested in the health giving virtues of this potent natural compound upon studying the French Paradox in greater detail. In this part of the world red wine is a common adjunct to their diet, & guess what - it was found that this active compound is the secret to the French Paradox & resultant long life experienced by these people. 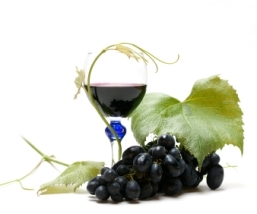 Trans - Resveratrol: A Magical Elixir of Eternal Youth? Another thing to realize is that the animals in the study were intentionally overfed so as to promote as many of the modern day pathologies humankind now suffer from. But guess what, virtually all of the pathologies that the control group suffered from were absent within the control group! Why is our Formulation of Resveratrol Better Than Most? Our Trans Resveratrol formulation only uses the potent Trans Resveratrol, which has been found to be more bio active within the body than other forms of the resveratrol compound - Be sure to ALWAYS request a copy of an up to date independant lab analysis report to ensure you receive what you pay for! One serving of our product contains 420mg of Polygonum Cuspidatum sourced Trans Resveratrol. Few formulations out there can claim such potency! 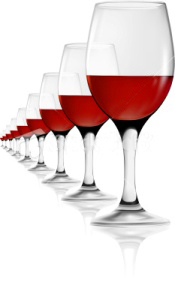 Our Trans Resveratrol formulation is manufactured via a HACCP certified & GMP approved company. Quality is gauranteed, as well as peace of mind! Our product DOES NOT contain fillers or binding agents - so no quercetin, glidants, silica, oatbran & other such additives. Even though this makes for a more difficult product to manufacture - the quality & potency are maintained. 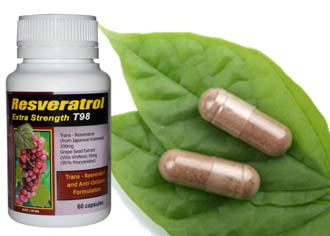 Within our formulation we use resveratrol particles sized for optimum gastro intestinal absorption. "Is it possible to live a healthy & happy life without the complications of chronic health issues & the degenerative breakdown of one's body?" Robert M. 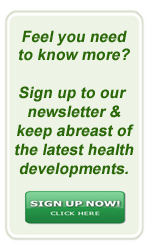 Goldman., Ph.D., D.O., FAASP: chairman, World Academy of Anti - Aging Medicine. The Trans resveratrol supplement has become one of the MOST studied longevity compounds in existance - thus far even exceeding ALL expectations!